Join us as we celebrate food, the dinner table, and quite likely empires, cannibals and magic fish bones! Traveling Through Food Wastelands, Blended Scotch, Uncle Tupelo, And Onto Good Soil. Thoughts Toward A Lecture In North Carolina: A Swan, Bride, And Fatal Banquet. A Good Man Is Hard To Find, Jefferson’s Very Small Batch Bourbon, And Grits. The Thanksgiving Turkey has arrived! 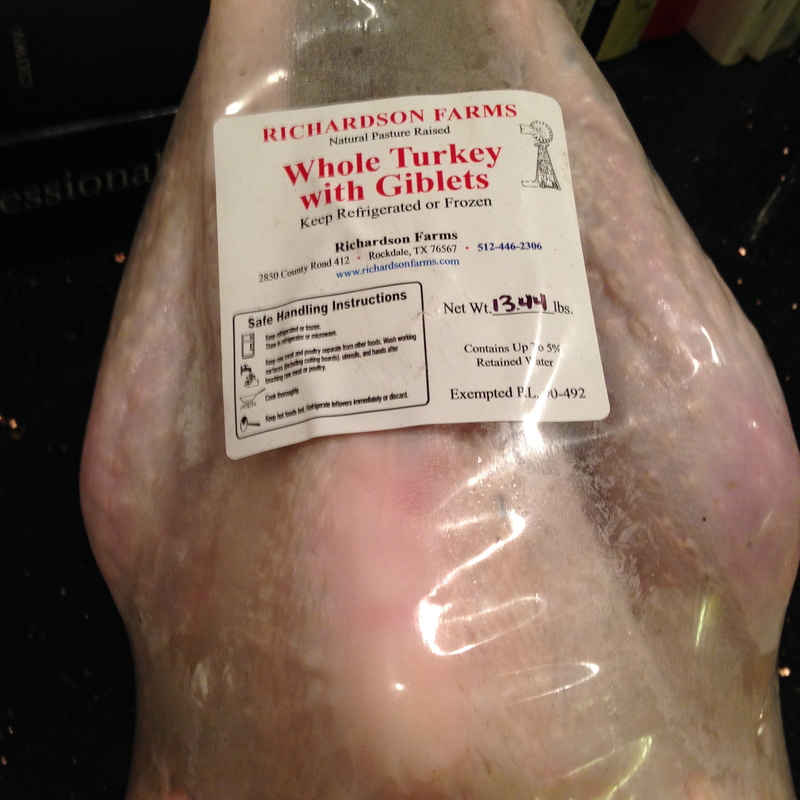 Last night Greenling delivered a Bourbon Red Heritage, Free Range Turkey from Richardson Farms. Now, that’s a turkey! Bearing reddish plumage and first bred in Bourbon County, Kentucky the Bourbon Red sat on many a Thanksgiving table from the last decades of the nineteenth century all the way to World War II. 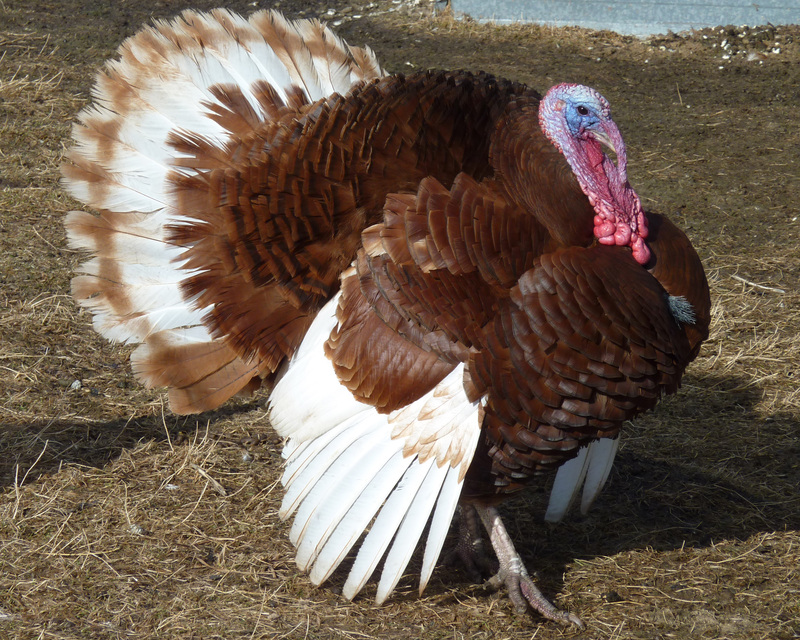 It’s dominance diminished after the introduction of broad-breasted gobblers, but recently it has become a popular “heritage” choice, which means it is a variety no longer present in the majority of turkeys. And yet, here it is. In Texas, west of Rockdale, between College Station and Round Rock, Richardson Farms pastures chickens, cows, pigs and turkeys. 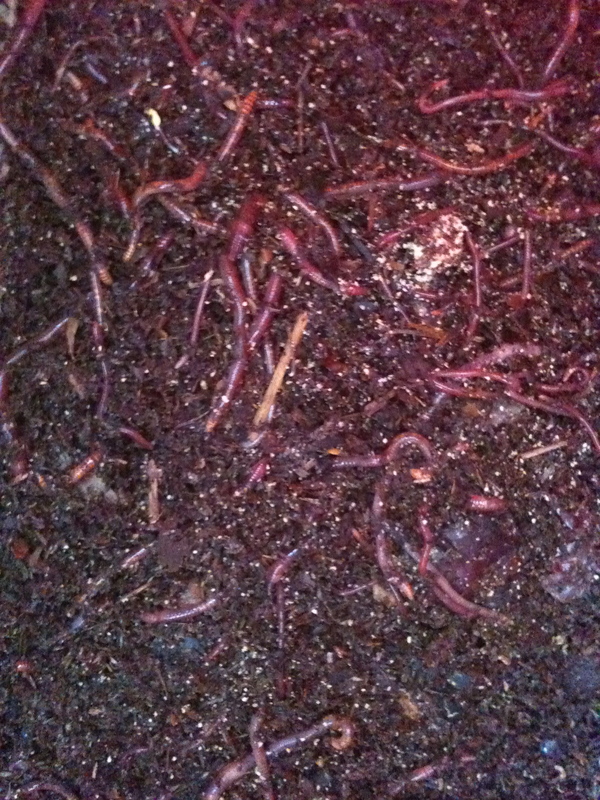 For their produce, they practice conservation tilling which means they do not plow harvested fields but allow the residue of the crop to lay on the land and decay thereby allowing worms in the earth to do the plowing. So, now that I have the turkey, what am I going to do with it? Why, I’m going to smoke it. 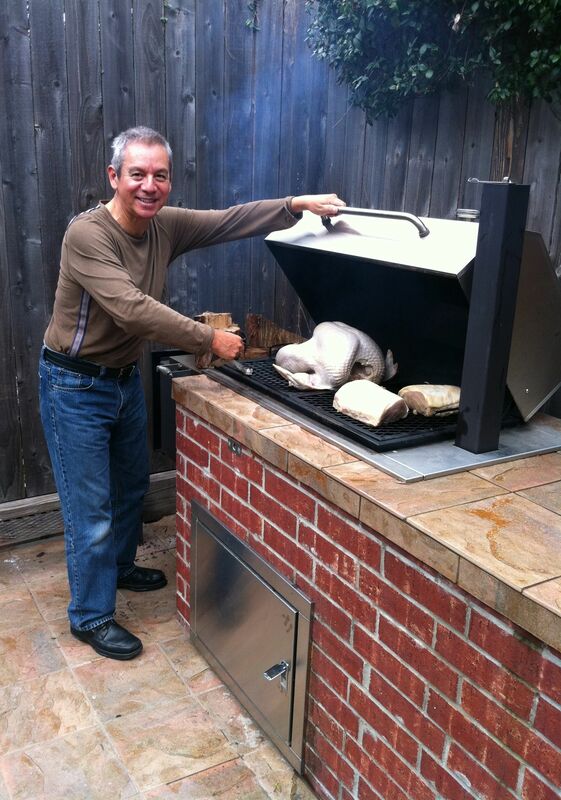 Thank goodness my friend Adán Medrano has shared his Smoking-a-Thanksgiving-Turkey recipe with the world! Following directions, I’ve mixed warm water with salt, brown sugar, garlic and onion powder and set the turkey amidst this brackish water. but on the outer walls the struggle rages. or as when we’re taped to a drip in a hospital ward. 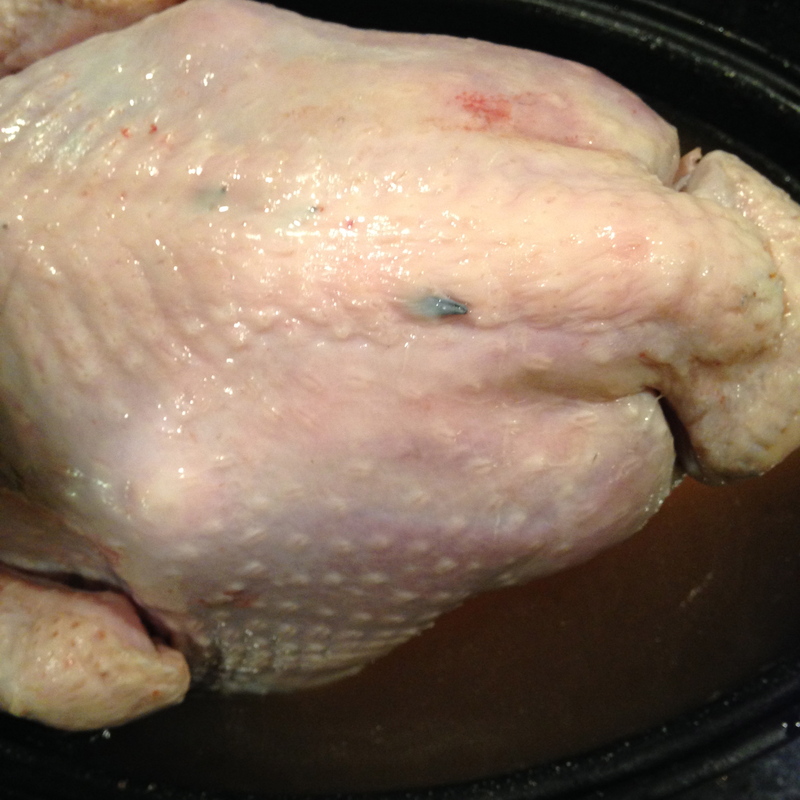 For three days and night this almost fourteen pound turkey will sail the waves of my briny sea in the refrigerator. Then, it will be time for the smoking and eating. But who, pray tell, will be eating? From the other side of the Rocky Mountains, Gabriela’s sister Helena, her husband Jordi, and two children Yuri and Thais will fly into Houston from San Diego and stay with us for the holiday. Our good friends Natalie and Pierre will also attend, so there will be a full house. This is why I also purchased a Tejas Heritage Duck, which I will roast. There will be poultry . . . but no milkshakes.